I have really sensitive skin, so I take skin care extremely seriously. Aside from the basic’s like drinking lots of water, eating vegetables and wearing sun screen, I’ve got a few favourite products from Lush that help keep my skin happy and healthy! 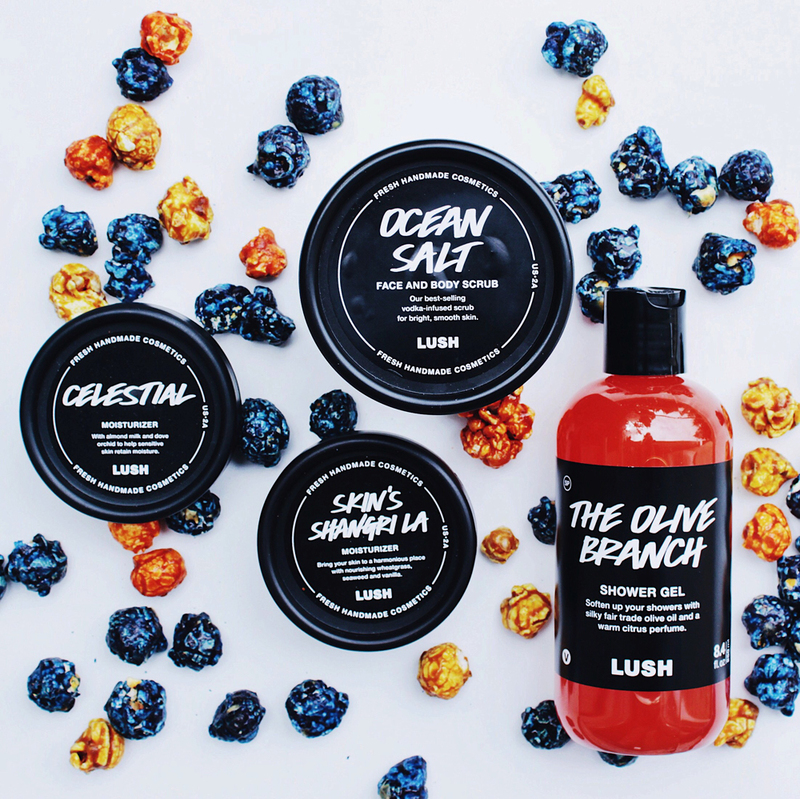 Ocean Salt: Is a refreshing and hydrating scrub. I love to use it once a week to keep my skin feeling fresh and clean! Skin’s Shangri La: Is a rich and luxurious moisturizer. It’s extremely hydrating so it makes a great night cream. I love how soft my skin feels in the morning! Celestial: This moisturizer is hydrating and light at the same time. It’s great for my sensitive skin, and I especially like to wear it under makeup! The Olive Branch: This shower gel smells amazing, and is incredibly moisturizing. It makes showers even more enjoyable!